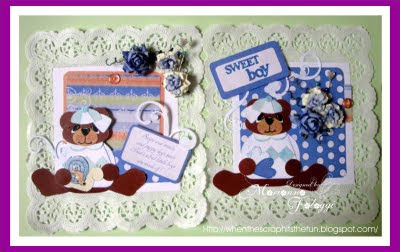 "Lasting Memories" Scrapbook Layout Challenges: Reader's Submission - "Sweet Boy"
Hello and Happy Friday!! We have a "beary" sweet LO for you today and it comes to us from Marion! This is SO cute! Congrats Marion and be sure to grab your "Featured" badge from the left sidebar. To join our current challenge, visit HERE and if you're interested in trying out for the DT call, visit HERE! Happy scrappin'!